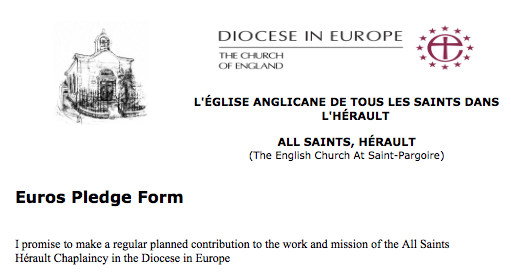 The letter, which can be accessed by clicking on the file beneath the Diocese in Europe logo, has been written by Andrew Caspari, who is the Chief Operating Office and Diocesan Secretary. The subject is the Diocese and Brexit . If you have any queries or comments do not hesitate to get in touch with Andrew via one of the Church Wardens. The April 2019 prayer diary and associated articles have been published on the website. To view it, either click on the blue button or the normal link towards the top of this page. 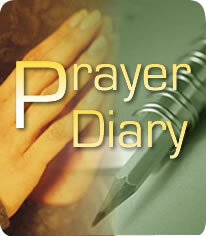 There is a copy of the prayer diary that can be downloaded and printed. During the first Lent course of 2019, a number of photographs were taken. To view the photos, click on the 2019 Lent course tab above. The minutes of the meeting and Roger's report appear below. Double click on the icon to open the file. The minutes of the Chaplaincy Council meeting that was held on the 27 February 2019 are now on the website. To read the minutes, please click here to open the file or go to the "Paperwork" page, then Minutes and then select the appropriate file. Our 2019 Lent Course is entitled Another Story Must Begin. 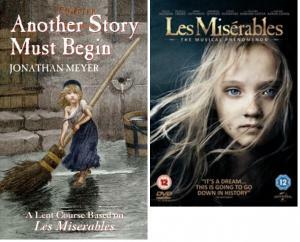 Another story must begin is an original Lent course based on the film, the novel and the stage adaptation of Victor Hugo's Les Miserables. Through discussion of some of the themes and principal characters of this epic narrative, the course explores the grace of God and our own fallen state and opportunity for redemption, and helps us to reassess what we can do with our lives and for those around us. Each session includes watching scenes from the Oscar-winning movie... Click blue button to view the dates for each session and further backgroundon the course. Read the article about Julie's induction in the Diocese of Europe newsletter. The latest issue of the Diocese in Europe newsletter "LINK" has been published. Click the blue button to open the newsletter. The newsletter contains articles including the Bishop Robert's Christmas message, Advent events and information on Brexit. The Midi Libre published a short article about this year's carol concert at Fontès. It was also publicised via the facebook page of the Fontès Marie. Click the blue button to open the link. We are fast approaching Christmas, the anniversary of the birth of our saviour. We would likeinvite you to this very popular event in the magnificent setting of the ancient church in Fontès, where you will hear the traditional nine lessons telling the story of the birth of Jesus Christ accompanied by appropriate carols with all the congregation participating. Afterwards you are invited to enjoy home-made mince pies and locally produced wine, with a sure guarantee that you will leave feeling that the message of Christmas is with you and will continue to be with you for the remainder of this festive season. All Saints Church Hérault and Simply Church look forward to warmly welcoming you. To be found under the Tab of Our Christian Faith, although this article is written with the Church of the Later Day Saints in mind, it does raise a number of interesting points about how we as Christians interpret the words contained in Bible, which ever version we read. 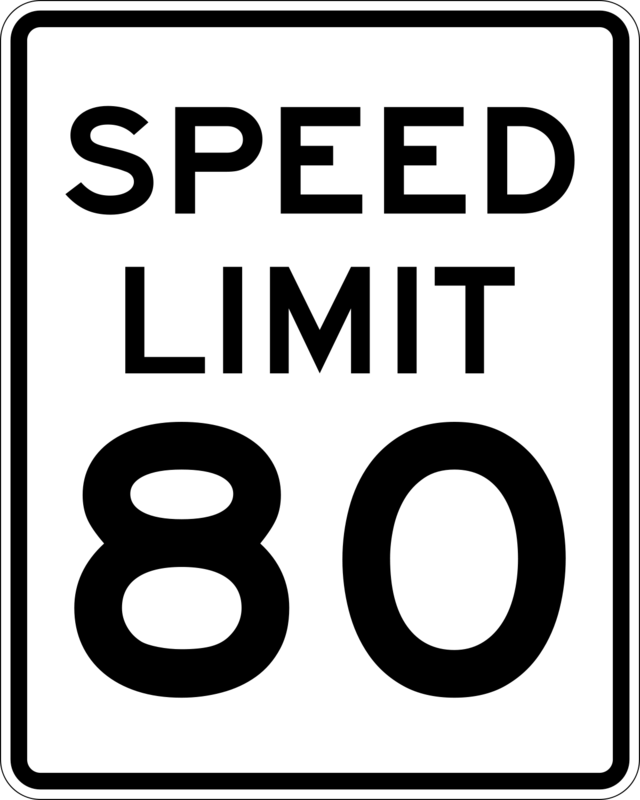 Reminder: From 1 July 2018 France brings in new speed limits. Minutes of the Chaplaincy Council held on the 21 February 2018 have now been published to the website. Please click the blue button and navigate down to the Minutes section to read the minutes. Julie's latest essay discusses the moral dilemmas faced by Ministers and others when faced with a person saying they wish to take their own life. Our next service will be next Sunday, 28 January, at 10.30 am in the Temple at St-Pargoire It will be an ecumenical service and we shall be joined by members of the Église Protestante and the Catholic Church. 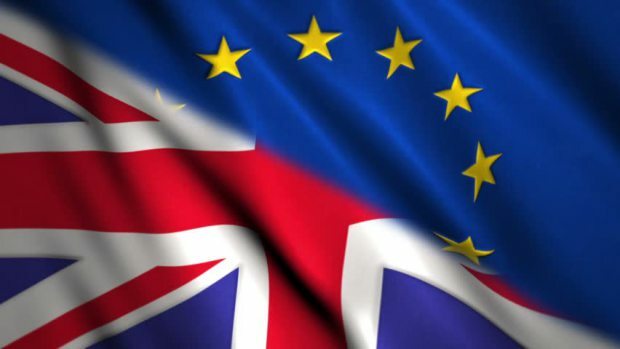 At the start of 2018, I am aware that many people in our diocese are worried by how their rights in respect of such things as residence, healthcare and pensions will be affected by Brexit. I have put on my blog site an article that gives the latest position in regard to the negotiations regarding ‘citizens’ rights’. It sets out exactly what rights have been negotiated at the end of Stage 1 of the process. A further table indicates the detailed points which, from the EU side, remain to be agreed. I also give links to an EU ‘Q and A’ document that helps people understand what the agreements reached would mean in practical situations. I must stress that, these documents represent the status at the end of Stage 1 of the negotiations. However, the EU27 are clear that ‘nothing is agreed until all is agreed’, so the citizens’ rights agreements do still depend on there being a final agreement and deal between the UK and the EU27 at the end of Stage 2. I hope the contents of my blog might give some comfort and clarity to members of our chaplaincies. With all good wishes to you for a happy and peaceful 2018. The latest two essays written by Julie have been published to the website. The two topics are difficult ones to write about, Can a war be just? and Homosexuality and the church's reaction to it. Please take time to read them by clicking on the blue button to the left or the main tabs at the top of this page. We have posted to the website the receipt and message of thanks regarding our recent donation. Click the blue button to view. We are slowly making changes to our website to reduce the overall clutter and hopefully make it easier to navigate. The first change is that all articles written about our Christian Faith are now accessed via the big mauve button above! Further changes to follow. If you have any suggestions about making the website easier to use, please let one of the Churchwardens know. 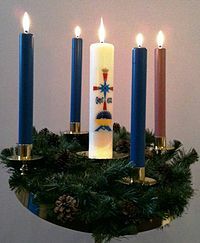 Advent, four weeks of preparation culminating in the celebration of Jesus's birth on Christmas day. On our Advent page, we have described the history of Advent through the ages, information on the Advent wreath together with other resources to help you prepare for the joyous occasional of a Christian Christmas! Julie has also placed her Advent sermon on the page, for those who would like to reflect on her words as part of their Christian observance of Advent. Please click the blue button to view the Bishop's Christmas message in full. 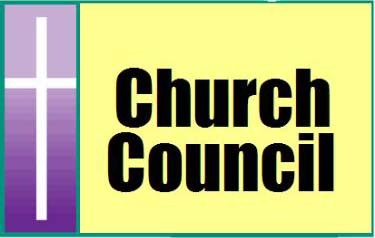 The draft Minutes of the Church Council Meeting held on the 2nd November have now been published to the website. To view them, click on the blue button. Should you have any questions concerning the Minutes, please contact either of the Church Wardens and raise it with them. Read Roger Armson's update on how our 2017 Harvest Festival panned out... Click the blue button! SundayService in the Chapel at Margon. Photographs of the recent service in the Chapel in Margon, are now up on the website. Click the blue button to view them. 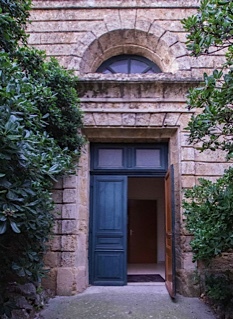 The chapel belongs to Château de Margon, a protected historical monument. Built in around 1525 on older foundations dating back to the 13th century, the chateau consists of a main building flanked by three fortified towers topped off with pepperbox turrets. As part of her training to become a Church of England Reader, Julie Johnson has written, what is a personal letter to a Godchild. If you know a child who is thinking of being confirmed and wishes to understand what confirmation means, this letter is a good place to start. Julie also touches on the wider issues of Faith and belief. Reading it may allow ourselves to meditate on what it is to be a christian. Click the blue box to read the letter in full. Read the Bishop of Europe thought's on the recent Synod. 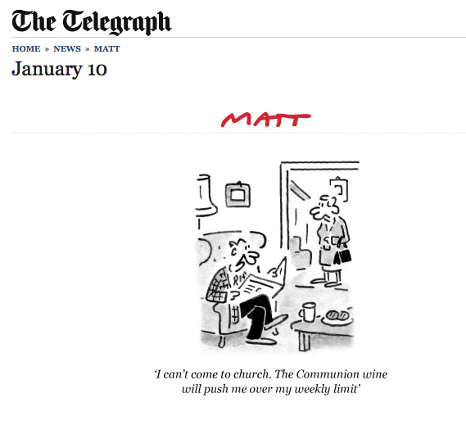 On my way home, at the end of the Synod, and re-entering the public life of Britain, I bought a copy of the Times. One article spoke of the ‘collapse of business confidence’. Another article predicted significant falls in living standards as the country is now living above its means. These are hugely challenging times for the United Kingdom. The Church of England in England has a particular vocation to bring the message and love of Christ to the nation, to challenge unjust structures and to help rebuild a sense of national destiny. 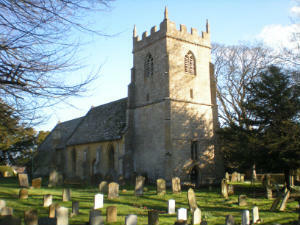 Our website now includes a link to our twin church of St. Eadburgha's in Ebrington, nestling in the North Cotswolds. To view their website, click on the blue button. 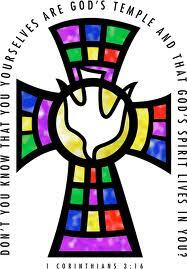 We have also provided a link via our Links page under the section Church of England websites. Their site contains a lot of interesting facts about their church and especially the outward looking nature of the parish. Hosted on our website is a copy of their church guide detailing the historic nature of the building and it's surroundings. SAKFO, a charity we supported via a donation late lastyear, have just sent us photographs of the school and ofthe pupils we are helping to support. As you may remember, SAKAFO, was created to allow money raised by students in France to go to support children attending a school in Antsirabé, Madagascar. The school concerned has around 1500 children, all of who are extremely poor and who consider themselves privileged to be able to attend school, in what is a poor country. Click the blue button to view the photographs. Welcome to our church leaflet. We now have a leaflet which we will hand or email to visitors attending our services or social events. If you wish to view or download a copy of the leaflet, click on the blue box. You will find the leaflet at the top of the page. Double click on the image to open the file for viewing or downloading. The Draft Agenda for the upcoming meeting of the Church Council on the 6 July has now been published to the website. We have added a link to the Archdeaconry of France website. The link is located on the "Church of England website links" page. Or you can click the blue button to be taken to the correct page! The Archdeaconry of France website contains information on the 83 Anglican congregations throughout France. If you know people who are moving to France to live and work, or who are looking for a place to worship when on holiday, or have lived here for some time and want to explore the Christian faith, this website will provide them with some of the answers! Eighteen months ago, our Diocesan Synod agreed a Strategy, which will in the coming years, underpin our work as a Diocese and help us walk together in faith. Below is a summary of that Strategy. From the outset, the Synod wanted to make sure that the Strategy was developed and implemented ‘bottom-up’ not ‘top-down’. They wanted it to be an invitation to chaplaincies to reflect on how they can build on what they are already doing, to become chaplaincies engaged in mission. A Church without Mission is like fire without a flame. Please take the time to read the Strategy and Bishop Robert's letter. Minutes of the Chaplaincy Council Meeting held on the 10 May 2017 are now available on the website. Click the blue button and navigate to the appropiate section. The list of members of the Chaplaincy Council has been updated. To view the list and also a list of the members responsible for Church activities, please click either the button to the left or the button at the top of this page. A Church Near You contains information about parish churches, the services and events that take place at a particular church. 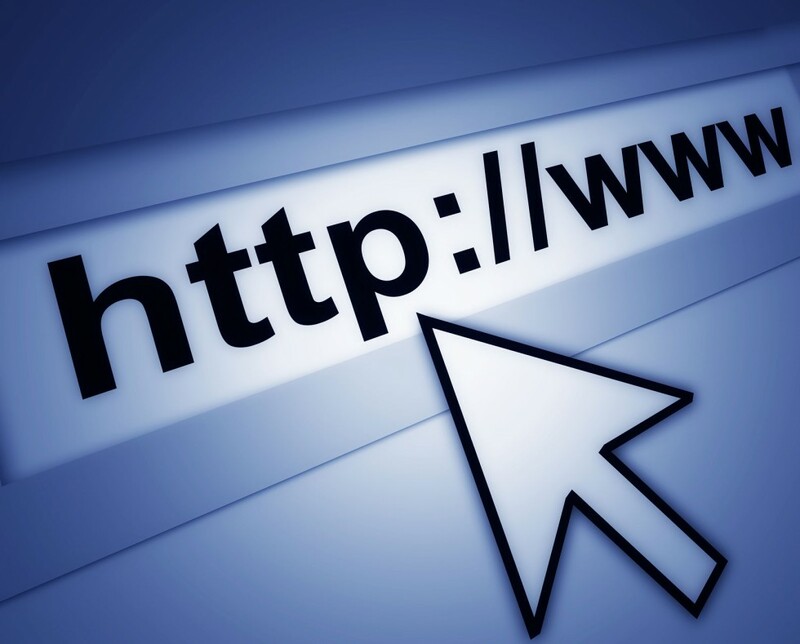 The website is run by the Church of England, forming part of the main C of E website. The site helps people find out which parish they live in (useful for weddings and funerals) as well as general churchgoing: Nearest church: What events and services are happening and who to contact to find out more. We have added also a "quick access button" on this page. 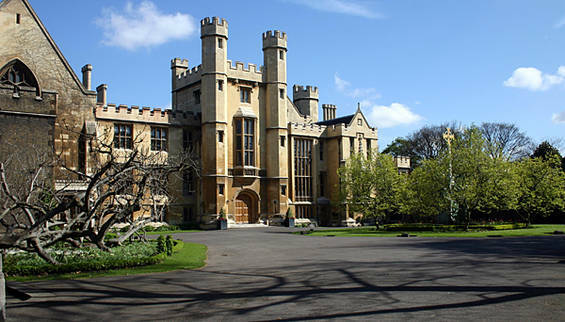 A new library at Lambeth Palace will house the biggest collection of religious works outside the Vatican after planning permission was granted for the first new building at the historic site for 200 years. The collection of historic manuscripts and books dating back to the ninth century will be stored in highly advanced archives. As a church, we agreed to donate to SAKAFO, an organisation created to allow students in France to raise money to support children attending a school in Antsirabé, Madagascar. We recently received a communication thanking us for supporting them. The school concerned has around 1500 children, all of who are extremely poor and who consider themselves privileged to be able to attend school, in what is a poor country. Click the blue button for more information. Message from Bishop David - With great joy I announce the following persons are to be ordained this Petertide (God willing): Sacred Order of Priest - The Revd Nicolas Razafindratsima and Guy Diakiese into the Sacred Order of Deacon. The Provisional Minutes of the Church AGM, held on the 12 March, 2017, have now been published to the website. The Minutes can be read in one of two ways. By clicking on the blue button, you will be taken to the 2017 AGM page. The provisional minutes are at the top of this page. A duplicate copy has also been posted on the Agenda and Minutes page, which is a tab under Paperwork. 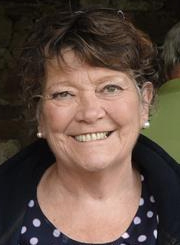 As part of her training to become a Reader, Julie is required to complete six modules through distance learning on a course run by St John’s Nottingham. For each of the six modules, Julie is having to write 3 essays, making a total of 18. The subjects cover both the Old and New Testaments. Bishop Robert's Pastoral letter can now be read on the website by clicking the blue button. This year's message, whilst always relevant, is perhaps particularly appropriate for the times we live in. Easter 2017 greets an uncertain and fearful European continent. The achievements of the post-war decades are being radically questioned. The story of smooth progress towards an ever-more prosperous, liberal and globalised future is being angrily protested against. Yet we don’t know what could replace it. The European Commission has published a White Paper that offers five very different scenarios, and both Protestant and Catholic Churches are holding conferences on ‘The Future of Europe’. There is, as yet, little in the way of genuinely convincing and inspiring ways forward. 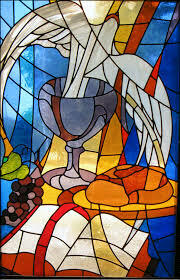 We feel ourselves to be in a kind of ‘Holy Saturday’, with old hopes having gone and a new vision yet to crystallise. If that is our situation, we can take courage from Jeremiah, who assures his readers of a future and a hope that lie, not in the immediate present, but on the other side of exile. For Christians, faith is the assurance of things hoped for and the conviction of things not yet seen (Hebrews 11:1). And so, in the purposes of God, Easter bursts upon us in unexpected ways with the promise of a future that we cannot yet specify. Our page entitled "Lent Course 2017" provides more information on this worthy cause. Click the blue button to read more. 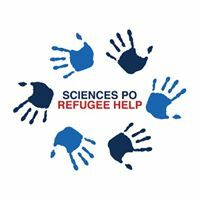 One of the charities our chaplaincy supported last year was Sciences Po Refugee Help. Cora Hopkins, a member of our congregation, is studying at Sciences Po in Paris and suggested the charity to us. Cora recently circulated a message of thanks she had received concerning our donantion. This messagehas been reproduced on the page covering the Charities supported in 2016. Please click on the blue button to view the message of thanks. In a course crammed with discussable questions, John Young teases out from the New Testament at least three different ways in which we receive Christ. John’s course booklet is supplemented by four leading Christians, from a variety of backgrounds, on the course CD. Together they demonstrate that St John’s theology in his magisterial Gospel has very practical implications for our day-to-day lives. 2017 Annual Meeting to be held after the service on 12 March. Elections will be held for 2 churchwardens, 2 synod representatives and 4 chaplaincy council members. To stand for election and/or vote you must be on the electoral roll, for which forms are available, these forms must be sent to Patricia for Saturday 25th February. Click the blue button for Forms and other information. The minutes of the Chaplaincy Council meeting which was held on the 1 February 2017, have now been published to the website. They are to be found under the 'Minutes' banner (First file under the banner!). The blue button to the left will take you to the correct page. 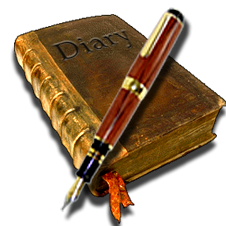 On the Home page, below the diary, one will find "A verse a day". The verse, which is a reading from the bible, changes each day. A little like the thought for the day! 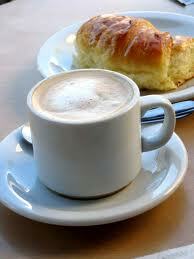 The March Breakfast club will be held in Jenny Morgan's home close to Lac du Salagou. Please let Jenny or Delia know if you are intending to attend the Breakfast club in March. 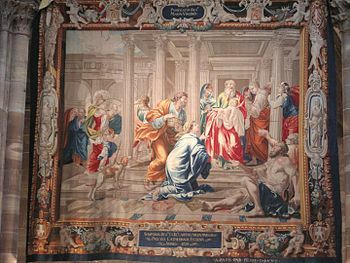 Candlemas is a festival on February 2nd which celebrates an early episode in the life of Jesus and combines both the Jewish customs of the presentation of the first-born son in the Temple and the purification of Mary in obedience to the Torah. "This year, churches around the world will be marking the great significance of the 500th anniversary of the beginning of the Reformation in Europe, dated from Martin Luther's 95 Theses protesting against the practice of indulgences, on 31 October 1517 at Wittenberg. The Church of England will be participating in various ways, including sharing in events with Protestant church partners from Continental Europe.... Click the button to view the full statement. 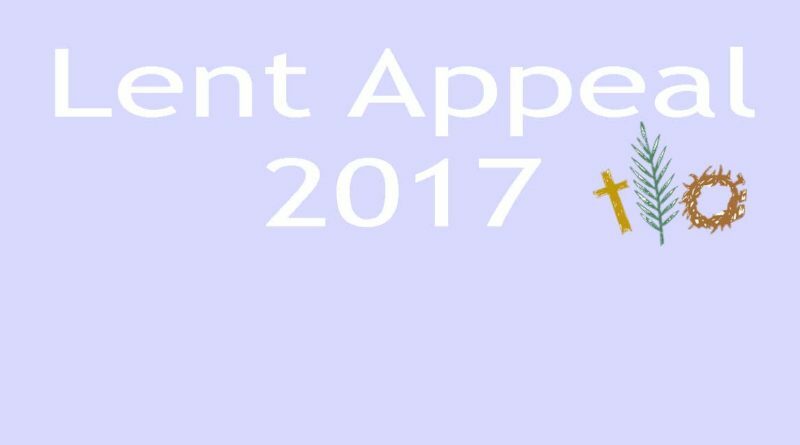 A new page has been created for the list of Charities supported by the church in 2016. The page can be accessed via the blue button on the left. For future reference, at the top of this page there are two buttons. On is annotated "Supported Charities" and the second one is annotated "Charities supported in 2016". The title of the second button will change every year to reflect those specific charities supported during the year in question. The page linked to thefirst button will be updated with information on any new charity we agree to support. Our ecumenical service (Christian Unity Service) this year will be on Saturday 28th January at 4.30 pm in the temple, St-Pargoire (our normal place). The theme will be 'reconciliation', 2017 being the 500th anniversary of the Reformation, Martin Luther nailing things on doors etc. The service will follow fairly closely the recommendations of the World Council of Churches. As last year the service booklet will be in French and English and all are welcome: please come and enjoy worshipping with and meeting our fellow Christians. The service will be followed by 'un pot'. You may have already seen the publicity for this year's annual ecumenical service of nine Lessons and Carols. But if you have not, the service will take place on the 11th December 2016 in the church at Fontès, starting at 3:00 PM. Following the service, there will be the usual mince pies and wine, with soft drinks for the children. The collection during the service will be divided between the Village of Fontès (for charitable purposes) and the Parish. Last year some €500 was distributed to good causes. The is a page on the website with further information about this year's service. Provisional minutes of the Chaplaincy Council meeting that took place on Monday 9 November 2016. These minutes includes a list of charities the church is supporting over the next 12 months. Links to each of the charities may be found on the "LINKS" main tab above. Please double click the PDF image on the left to open up the file. Apart from the list of dates covering the 2017 public holidays in France, the page also contains a few French morsel's of information about each of the days. Confirmation of Alice Coulshaw on 16th October 2016. Confirmation marks the point in the Christian journey at which you affirm for yourself the faith into which you have been baptised and your intention to live a life of committed discipleship. On the 16th October, Alice affirmed her faith before Bishop David, Roger our Priest in charge, her family and members of the congregation of All Saints Hérault. Click the button for photographs of the day. There is also a link to Bishop David's blog regarding his visit to us and his pleasure in officiating at the Confirmation. We have placed on the website forms for those parishioners who wish to "Gift Aid" in Sterling. The forms are available for download via the "Paperwork" tab and then clicking on the "Forms" page. They will be found halfway down the page under the heading "Forms to do with Finance and Expenses". After completing the form, please remember to hand or send the forms to Nigel Summersall first, and not to the address on the forms. Nigel needs to work some magic on behalf of All Saints. Thus once he has finished with what he needs to do, he will forward them on your behalf. Not everyone is aware that people aged 60plus living in France and who have a disability or need assistance due to reduced mobility, may be entitled to receive financial assistance under the French APA scheme. We have created a new button on "Our Church" Home page to help you access further information on this topic. Access is also available via the blue button to the left of this note. All day there will be exhibition stands, a children's story corner, fresco making, etc. Last Sunday (25 October 2016), close on 50 parishioners enjoyed a bring and share lunch under a mainly blue sky. Click here to view a photograph of the event! During the meal, two competitions were held, "Guess the weight of Roger, our Priest in charge" and "Guess the length of his "short" sermon". Proceeds from the completion, together with money donated at the bar, will be going to Resto du Coeur in Pezenas. Updated UK Gift Aid forms and accompanying information sheet can be found under the "Paperwork tab" If you click the blue button on the left, the correct page should open! Scroll down the page until you find the appropriate forms. In event of any queries, please contact Nigel. The Rev’d. Canon Meurig Williams will take over as Archdeacon on the 1st October 2016. 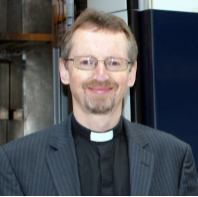 He succeeds Archdeacon Ian Naylor who is retiring from office at the end of September. Please read the letter of appointment by clicking on the image to the left. August 15th is a National holiday in France amongst other countries. 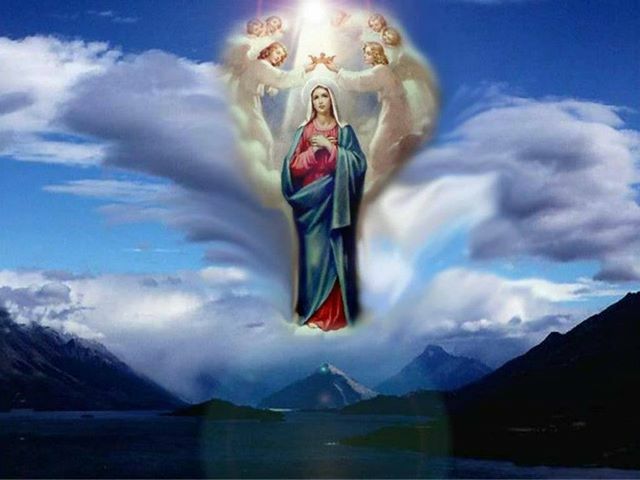 It is also the Feast of "The Assumption of the Blessed Virgin Mary"
The Assumption is the oldest feast day of Our Lady, but we don't know how it first came to be celebrated. Its origin is lost in those days when Jerusalem was restored as a sacred city, at the time of the Roman Emperor Constantine. Click the blue button to read a little more about this feast day. Minutes of the Chaplaincy Council meeting that took place on Monday 11th July 2016. Please double click the image on the left to open the file. Pastoral Letter July 2016 from the Diocese in Europe. The church has received a pastoral letter from Bishop David remarking on the recent UK referendum result. 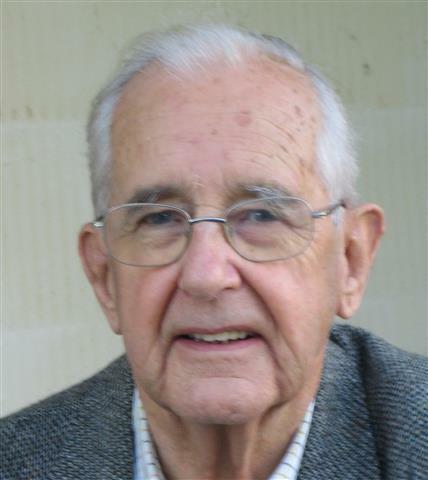 Roger will be reading the letter in full at our next service on 10th July. However, if you would like to view it in advance , click the button to the left. 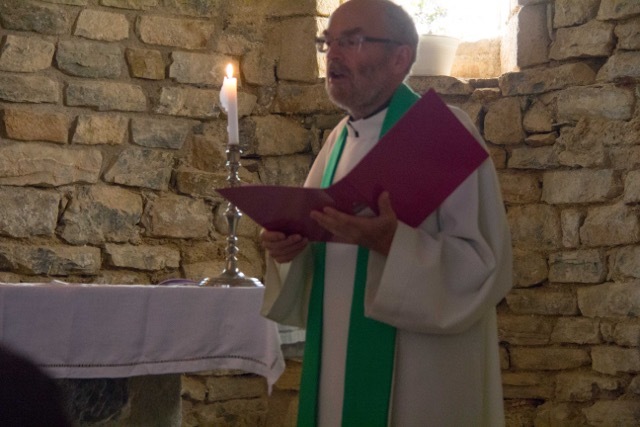 On the 26th June, 2016, the clergy and parishioners of All Saints Hérault held the second Sunday of the month service in the ancient chapel in Roquessels. This was followed by a shared lunch hosted by Simon & Monica Coulshaw. Photographs of both the service and shared lunch can be viewed by clicking the blue button on the left. A quick update on the fundraising last Sunday (26 June 2016). With the €260ish?? raised from the collection, another €150 from the raffle and another €90 odd on the wine sales we are delighted to be able to send a cheque off to the AJD (Dialogue 34) in the amount of €500, plus another cheque of €30, so €530 in total. They'll be delighted and the money will be put to tremendous use! Monica, Alice and I would like to thank you all so much for your generosity, we are all very touched. It was a delight, as ever to host you all here at the Domaine and greatly look forward to next year! For more information on the charity AJD, click here. The website is in French. Provisional minutes of the Chaplaincy Council meeting that took place on Monday 25th April 2016. Please double click the image on the left to open the file. Béziers, it should be noted, is controlled by the far-right Front National party, which supports mayor Robert Ménard. 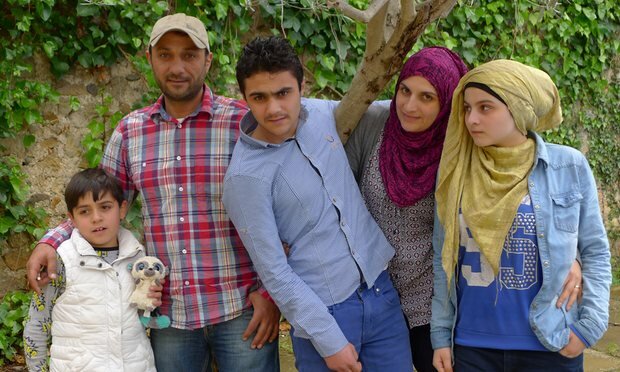 He has told Syrian refugees they are not welcome in his city............ Read the full article from The Guardian newspaper by clicking the "Button"
Note: The family are being supported by members of "Languedoc Solidarity with Refugees", an organisation supported by All Saints Hérault. Notice of forthcoming Chaplaincy Council meeting. "Julie is sorry that she won't be able to produce a prayer diary for May because she's still in 'rehab' after a serious back operation. Please pray for her, that she might make a complete recovery and be almost as 'good as new'"
The next Breakfast Club will be on Sunday 1st May at Delia and Roger's home. For more information, please click the button! Dates for future meetings will be published on the "Breakfast Club" home page as soon as they become known. A page has been created to hold and reference documents presented at the AGM that was held on 14th February 2016 at All Saints. 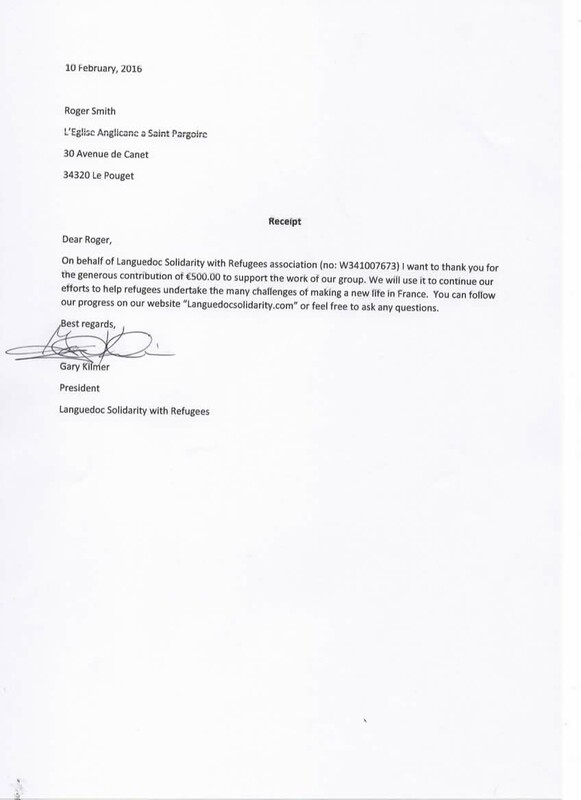 The Church has received a Thank You note for the €500 donation the Chaplaincy Council agreed to give in support of Refugees living locally to us. The group, now known officially as Languedoc Solidarity with Refugees, are about to experience a bit of a bubble in their cash needs. Several of the families they are working with have been called to Paris for their final interviews and they are helping getting them there. Their food delivery programme continues to roll on and they have sent several shipments of clothing and other items to Syria, Paris, Calais, Italy and Dunkirk. Readers are lay people in the Church of England, from all walks of life, who are called by God, theologically trained and licensed by the Church to preach, teach, lead worship and assist in pastoral, evangelistic and liturgical work. The office of Reader is the only lay ministry in the Church of England which is voluntary, nationally accredited, Episcopally licensed and governed by canon. Please read the safeguarding statement by clicking the button on the left. It is all our responsibilities to safeguard those vulnerable people attending our church and church events. This year’s appeal supports the Arab Evangelical Episcopal School in Ramallah in the West Bank. It will help the Anglican Diocese of Jerusalem in the distribution of bursaries to needy students at the school.......... Click the button to read why this cause is so important. 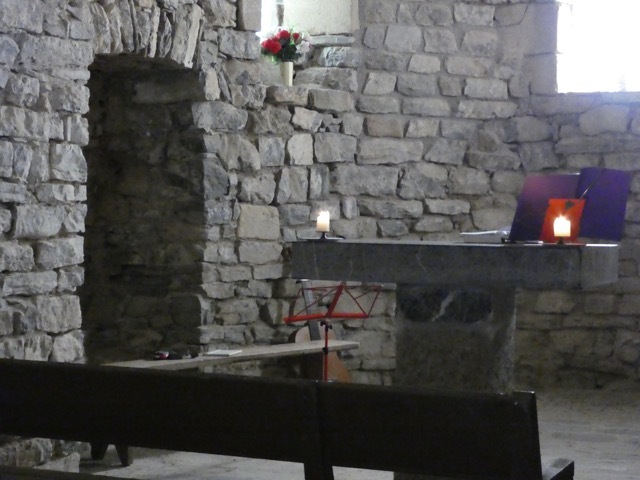 For memories of the excellent service of nine lesson and carols held in the church in Fontés on the 13th December 2015, click on the link to the left. 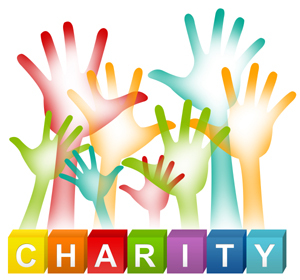 We have created a page on the website pertaining to the charitable donations made on behalf of the parishioners of All Saint's Hérault. This is a dynamic page and will be continually updated as and when information is made available! Click on button to read more. 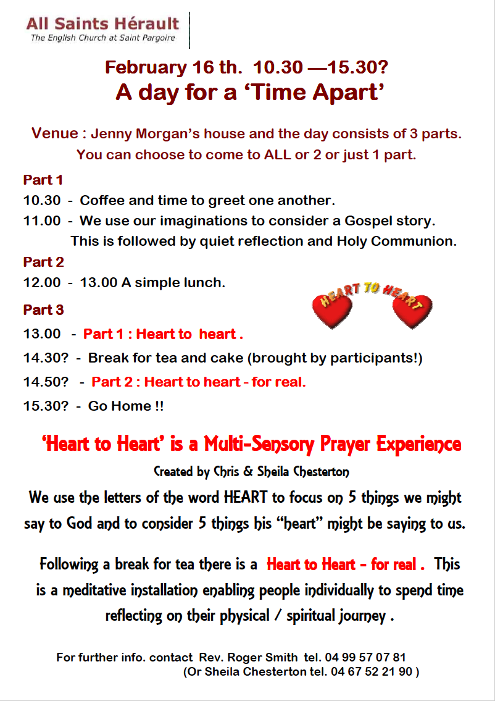 Minutes of the Chaplaincy council that took place on 27th January 2016. Click the PDF symbol to view and download a copy of the minutes. 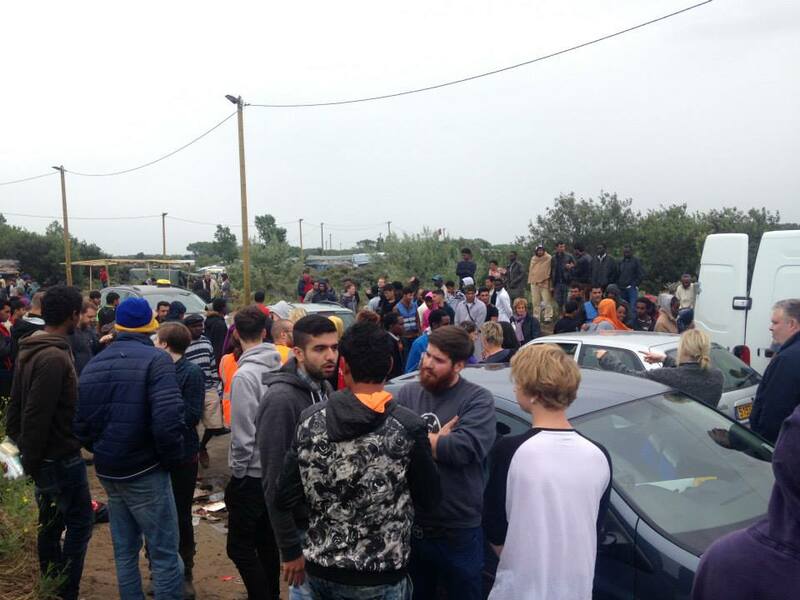 We have created a page on the website gathering all the news on the Refugee crisis as it impacts on All Saint's Hérault. 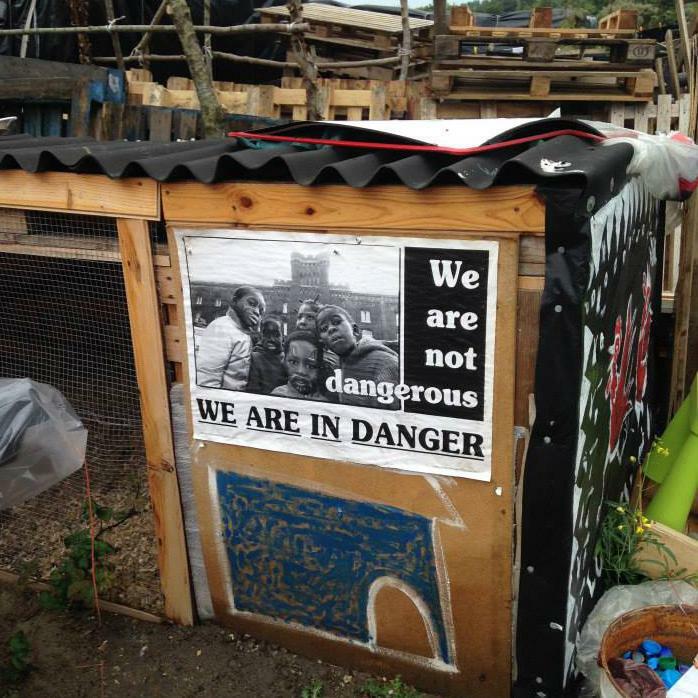 Message from Roger: Whatever your political views about migrants in Europe and what the media report, there is in truth a real humanitarian crisis. I believe that we as Christians should be responding to this crisis and there is a way to do this, right here in the Hérault. 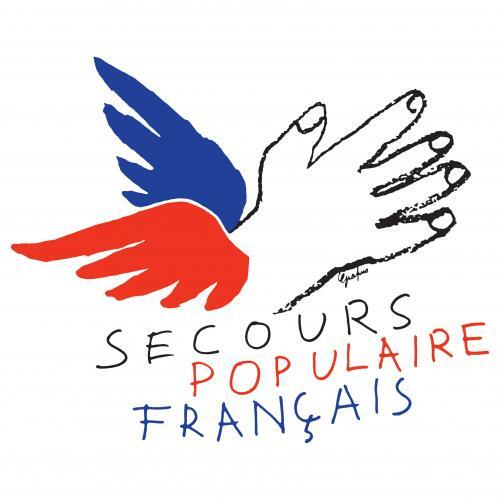 There is a group of Syrian refugees in Béziers who are being helped by an English-speaking group called Languedoc: Solidarité avec les Refugies/Solidarity with Refugees (LSR). Our own Chaplaincy Council has pledged 500 € to this group, once they become a full French Association. Please note that the venue for the Breakfast club will now rotate amongst the different members of the club, each taking turns to hosting the meeting. Sunday 7th February meeting will be held at Roger and Delia's home. Thanks to the Anglican mission agency Us (formerly USPG), a way for individuals and churches to respond to the refugee crisis in continental Europe has opened up via the agency's Rapid Response Fund. All Saints Hérault - Donation to Support the Refugee crisis in Hungary. 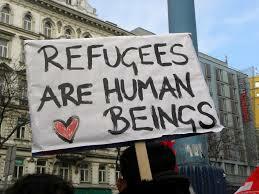 The Chaplaincy Council members decided to donate funds to support the the refugee crisis in Hungary. Euro Pledge Form now on website. A message from Roger: Hello everybody. This e-mail is about money, because there is now a more efficient way for you to make your donations to the work of our chaplaincy, All Saints Hérault. 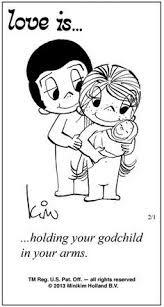 This is through the kindness (!) 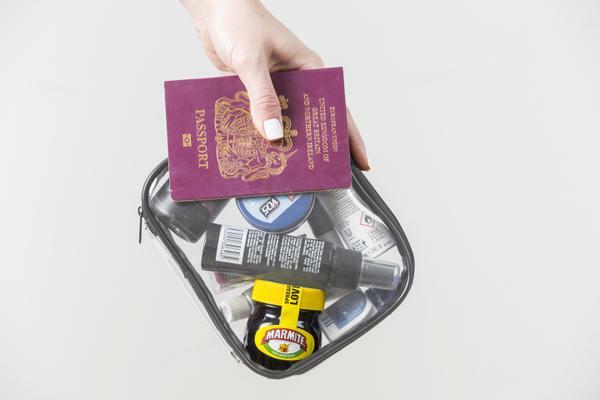 of the French and/or British tax systems. 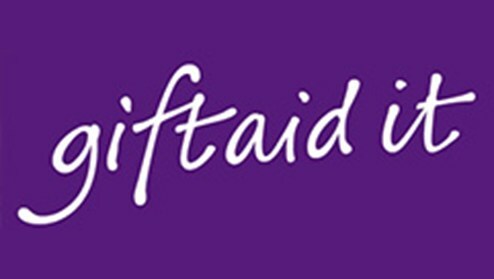 Many of you will know that in the UK the gift-aid scheme enables a church to claim money from the tax authorities, which increases your donation at no cost to you. In the French system it works the other way around, as I am sure most of you also know: you give money to the charity and then claim at least two-thirds back on your personal taxes, using Tax Receipts issued by the charity as your evidence for the donation. I am pleased to tell you that our chaplaincy has now received permission from the French authorities to issue Tax Receipts (Reçus Fiscaux) for donations to the chaplaincy. If you pay French income tax, you are permitted to reduce your tax bill by 66% of your donation, to a limit of 20% of your income. So, for example, if you choose to give 10€ a month to All Saints (120€ a year), it will cost you 40€80 a year after the tax adjustment. You might even feel able to increase your gifts to All Saints! Your chaplaincy council is aware that this is a big change from putting cash in the collection but hope that you will welcome the change as an opportunity for our chaplaincy to benefit from French and/or UK tax rules. An article written by Julie Johnson on the Transfiguration of Christ is now availableon the website. Baptism, Confirmation, Marriage and Funerals at All Saint's Hérault. Following the discussion at the recent Chaplaincy Council Meeting, the minutes of which can be found via this link, we have added to the website a series of pages on Baptism, Confirmation, Marriage and Funeral services if heldat All Saint's Hérault. Information on the four sacraments will normally be accessed via the blue button above entitled Baptism, Confirmation, Marriage, Funerals. Clicking on the button will take you to a main page, with further selections if more detailed information be required. The information can also be accessed via the link on the "Detailed Information" page. This time around it can also be accessed by clicking the button to the left of this paragraph. Do you know the difference between a Rector and a Vicar, or perhaps the definition of a Lay Reader? What about the significance of various articles of clothing worn by a Vicar or Rector. Two local women have emergency surgery to avoid the spread of flesh-eating venom after being bitten by tiny spiders hidden in their trousers. The two women were bitten on separate occasions, in the Herault and Gard départements. 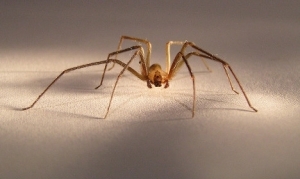 The venom from the fiddleback spider causes necrosis, or cell death, of the skin tissue. After a bite a surgeon must remove the damaged tissue to prevent this spreading. Warning about using a VPN. If you use a VPN, perhaps to watch UK TV amongst other activities, please be aware that unless you completely disconnect your VPN when undertaking banking etc, you may inadvertently allow criminals to capture banking passwords etc. Read the following article published on the LFN newsletter. Following a very successful tour of Languedoc last summer, the choir is returning this year for a series of concerts in the Languedoc. Saint Peters is a very active parish in Berkhamsted. Please see poster for details of the free concerts. The Diocese in Europe and the Church of England has formally apologised for the inappropriate and abusive behaviour by a former Bishop of the Diocese in Europe, who is now deceased, and failure to follow Church of England policy, following a complaint from a priest who had served in the Diocese. What exactly does a Churchwarden do? Read about the incredible group of supporters who have not only generated a large sum of money for CSF through sponsorship, but perhaps more importantly, managed to raise awareness of CSF's work within the English speaking community in France. Read the comments made by people after the Contemporary Worship service held on the 24 May 2015, or were sent to us by e-mail after the service. Click on the button to view photographs of the lovely service held in the chapel at Roquessels and the magnificant shared lunch afterwards at the Domaine de Trinities. After a wonderful shared lunch kindly hosted by Monica and Simon at Domaine des Trinites, Simon accomplished a long held wish to be an auctioneer. The proceeds of auctioning his "bin ends" are all going to Water Aid. Read Simon's email to everyone at All Saints by clicking on the button. Click Here or click the photograph.